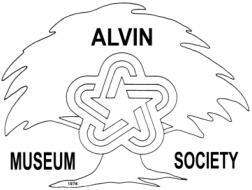 The annual membership meeting took place June 22, 2014 at Alvin Senior Center.New members of the Board of Directors were announced and introduced. A slideshow dedicated to museum founding member, Cleo Congrady was shown. We had the pleasure of a talk about hurricanes by Brazoria County author and newspaperwoman Marie Beth Jones.